8" x 10"9" x 12"11" x 14"12" x 16"14" x 18"16" x 20"18" x 24"20" x 24"20" x 30"22" x 28"24" x 36"
"Floral in Glass Vase" Oil painting by Anne Milligan. Love the classic appeal of this frame. It suits my paintings very well, and the value is really incredible considering the ornate nature of the frame. It has a great presence up on the wall. Helpful tip: the frame perfectly accommodates a 1/2" title plate. Here is an 18" x 24". 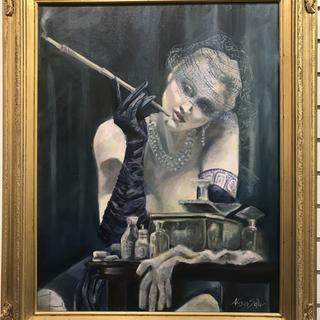 My original 22 x 28 oil on linen. Great frame, great price, quick shipping, fantastic value. My original 22” x 28” oil on linen. Love the frame, superior quality, quick shipping, well packaged. Very good quality. Also ordering and delivery was pretty quick. This frame is extremely nice. It looks like the frames in world class galleries or museums. There is a bit more grayish patina than the pictures would show - but it does not look any less pretty because of this. I could not have wished for anything better! I am very satisfied with the quality of this frame and would order again. The frame was packaged very well and and shipped out quickly. I wasn’t crazy about the spring clips. This is an oil on canvas and perhaps I was a little too apprehensive about damaging both pieces, all worked out. Final product is good. Great frame, high quality, quick delivery. Great quality at a fair price. 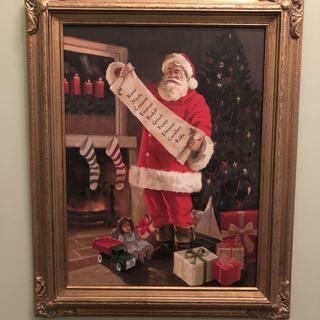 Bought this to frame a custom Santa Claus painting for the holidays. Hi Tony. Thank you for your feedback. We regret to hear this frame did not work out for you. We do offer a 45 day return policy so that you are able to find the frame that works best for you. If you would like to proceed, our customer care team is available Monday-Friday 8am-7pm EST and can be reached at 1-800-332-8884. Thank you again and have a great day! Excellent quality for the price and packaged very securely!! 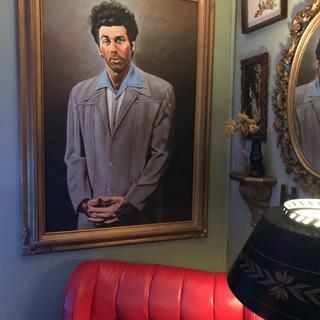 This frame looks like it should be $1,000+!! I’ve received so many compliments on it already. Truly something you cannot find anywhere else without paying an arm and a leg! Accidentally ordered the wrong thing and realized it about an hour after I placed the order! They canceled my order very quickly and changed it to what I needed! Love it! Arrived in perfect condition. Looks even better in real life. Highly recommend. It was unique so beautiful Victorian picture frame!!! This frame is pretty much ready to go. You have to add the handing apparatus (included) but that is quite easy. Would buy again. I like the final product but my husband and I struggled a little bit in the process of insert the painting into a he frame and he is really good handyman, two people are needed to put it together, I can tell I wouldn’t be able to installed by myself. The wood is very cheap (soft) and I spoiled the back in a few places, but no one sees the back. Bit again in the end the picture looks nice for the price. Beautiful frame - very delicate. Mounted a 1.5" canvas in here and needed special hardware to make it work.....the rabbit is not very deep. 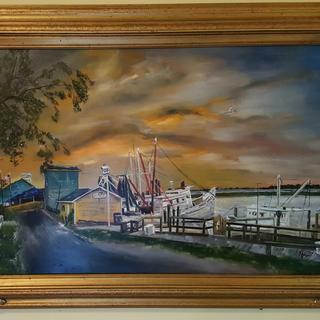 But the frame is perfect for this painting. Looks good. Pine frame. Not a high quality frame. Hi Todd. Thank you for your review. 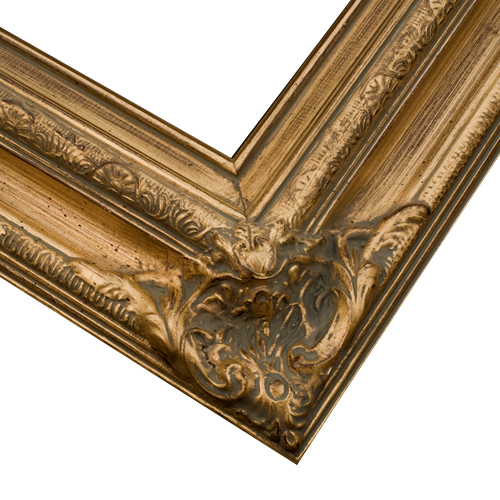 Our customer care team is happy to assist you in finding the perfect frame for your artwork. They are available Monday-Friday 8am-7pm eastern time and can be reached at 1-800-332-8884. We appreciate your business and hope to serve you again in the future! I would definitely recommend this product. It would get five stars have it been rabbeted large enough and square. I had to do a small amount of Shaving to get the canvas in the frame. Beautifully expressive frame and arrived fast and in good shape. This frame will complement an oil on canvas painting given to me by my daughter. Loved the detail and the width of the frame! Looks elegant and great for good price. I PICKED THIS FRAME,AS IT WILL ENHANCE THE COLOURS IN MY SEASIDE OIL PAINTING. For a floral piece. I think it will go well. Good looking and good price. Beautiful, wide frame and a very good value! like it for the oil painting to be placed in it. Loved the ornate aged look! I created a painting of an ornate iron and gold gate in Paris (with a glorious building in the background). This frame fits the subject matter perfectly. Same as the other frame. It looks good and good price. 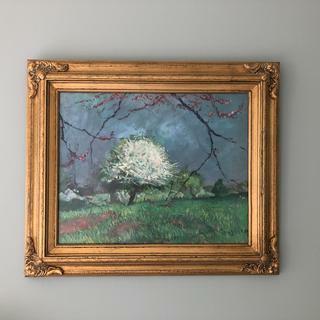 I have purchased this frame several times, it makes the painting pop. It the one that works for my painting. Elegant with the right feel for an old masters oil. Most important. . .the cost. I can afford this frame. I can not afford the cost of local framing stores. I'm always pleased with the frames I order from pictureframes. I'm a long time customer and will continue to do so. I could not find the Antique Brass Victorian Frame like I always wanted but I found this picture frame which it seems fits what I need. I hope I would like it when they deliver it to my home address soon. I can't wait and see what it looks like. Thanks. It was the most like other frames I have in my house. 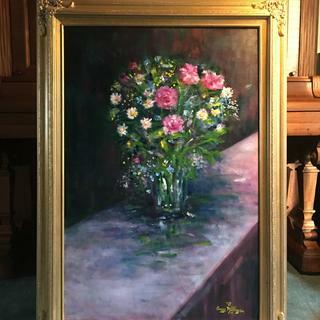 Purchased for one of my new classic floral still life oil paintings. How thick of a canvas will this fit? BEST ANSWER: Thank you for your inquiry! This frame has a rabbet of 3/8". The rabbet measurement determines the thickness of the artwork that can be inserted into the frame. 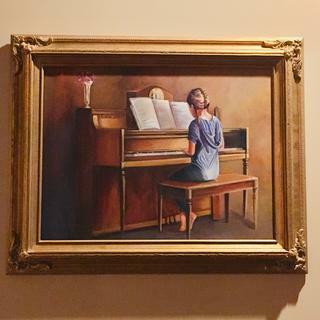 Check out this link for a list of canvas friendly frames: https://www.pictureframes.com/Canvas-Picture-Frames . For additional information please contact our customer care team at 1-800-332-8884. Actually, if you use standard frame clips instead of the ones that come with the frame, this frame is deep enough to fit a 3/4" thick canvas. I often use this frame on 1 inch deep stretched canvas. Hi! Does the foamcore backing come with a hanger to be able to hang the frame? BEST ANSWER: You would only need foam core baking if you were framing a poster, a print or photograph etc. . . flat items. BUT. . .If you are hanging a canvas painting no foam core is needed. You would need to purchase canvas clips to hold the canvas in the frame. All of our frames come with hardware and hanging wire to place on the wall. Thank you! There was no foam backing with this frame. I believe they offer it for purchase. BEST ANSWER: This frame comes in standard sizes by default. If you are interested in placing an order for custom size we allow around 8 weeks and have a 10 frame minimum. Please contact us for a quote for custom pricing, pricing would be similar to our 24x36 frame. Yes, it was unique so beautiful Victorian picture frame that I bought it in 2017. I fell in love with my heirloom picture of my grandmother when she was little girl. It looked so perfectly! You choose a frame size, and a price appears. 26 x 30 would be a custom size frame. My canvas measures about 12x18 will a 14x18 be fine ? Because I think a 12x16 will be too small but then I don’t want the 14x18 to be too big either. Please help! Thank you for your inquiry. 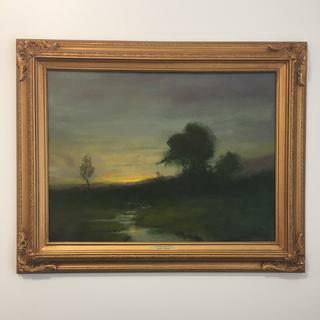 Unfortunately, 14x18 will be too large and leave a gap between your canvas and the frame and the 12x16 will be too small not giving you enough room to fit the full canvas. 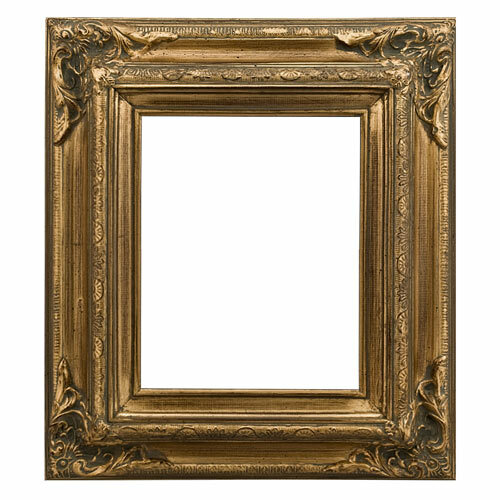 Take a look at this frame https://www.pictureframes.com/Custom-Frames/Elegant-Gold-Silver-Leaf-Wood-Picture-Frames/WS8-warm-gold-ornate-frame. It has a similar traditional & luxurious feel, but comes in custom sizing meaning you will have no issues with getting the right fit. Please feel free to contact our friendly framing experts at 1-800-332-8884 or via LIVE CHAT Monday through Friday for any additional help. No, you will have a 2 inch gap between the canvas and the opening of the frame. The dimensions indicate the size of the opening, which should be the exact same size as the artwork. You will need to purchase a custom size frame, unfortunately this one won’t work for you. If your canvas measures 12 x 18, that will be the size you will need. Always measure the length and the width of your canvas and use those measurements. Then, your canvas will fit perfectly. is it possible to get this frame for a 24"x30" canvas? Unfortunately, due to the ornate nature of the corners, these frames come prebuilt in standard sizes 24x30 not being of them. 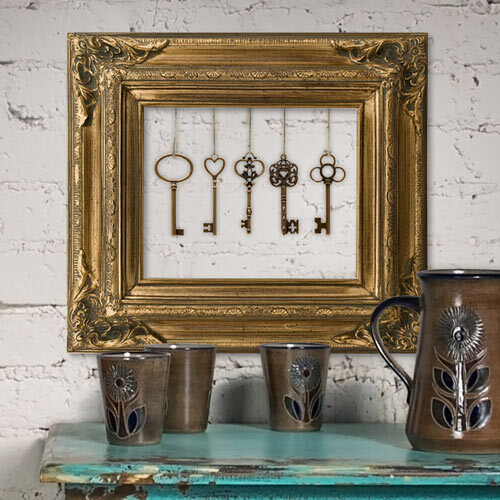 We do have a lovely selection of ornate frames that you can take a look at here: https://www.pictureframes.com/Ornate-Picture-Frames. If you have any additional questions or concerns do not hesitate to contact our friendly framing experts at 1-800-332-8884 or via LIVE chat Monday-Friday. You will find the answer by looking at the website. I used it for a 30x20 canvas. It is very lovely! can this be used for an art piece that is 30 x 30?